today I'm gonna be talking about a marketing strategy that every single website online should be using to capture people who have come to their website and then left. for example, would be the Google Display Network. it could be throughout YouTube, it could be throughout Quora, it could be throughout LinkedIn, it could be throughout Facebook. 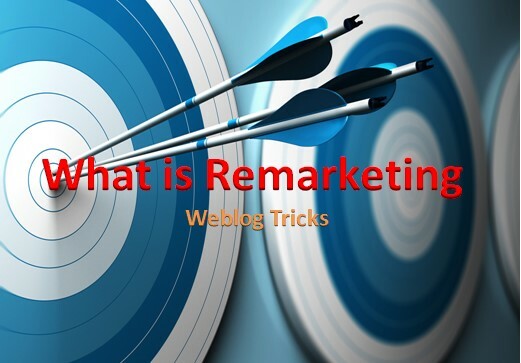 there's a lot of different areas where you can do remarketing to people after they visited your website. and they're going to other properties that you can serve ads to get them back into your funnel. when it comes to remarketing, the main place that people usually do this is on Facebook and on the Google Display Network. now a secondary place is also YouTube, and there are many other large networks out there that you can do remarketing through this. there's a variety of different ad and networks out there online. but to be effective through remarketing, it's really important that you have a specific ad strategy. let me talk a little bit more about that. so when they come to your website, think about what page do they hit on your website. and where does that life? so if they come to a specific page on your blog, what's that blog post about? or if they hit a service page, what's that service being offered, or a product page what is that specific product? and then think about the intent of the user when they came in there, and then based off of that you can qualify them in some respect so that when they go to other areas online, you can serve them an ad that's specific to the landing page that they hit on your website. say our Website Weblog Tricks somebody comes in and they hit our search engine optimization service page, where they hit our Amazon service page. what I can do is when they go throughout the internet. say on Facebook, for example, I might want to serve them ads that show case studies of how effective we've been. maybe we increase the client's revenue over 150% through search engine optimization. or we got a 20% increase in revenue through Amazon sales within the first two months. right those are two real things that we've done at the company. I can create an ad that showcases that, tells the person that, and says click here to find out about what your success will look like. associated with that, I can get them to come back and potentially fill out a lead that they wouldn't have filled out otherwise. so that they can potentially have a higher close rate down the road because they know that we've been successful, they're seeing other good things about the company. it could also be a segment of the website that's on a common theme and by doing that you can make it a bit easier. if somebody Reading this Article I can serve remarketing ads ads to you as you continue throughout Website. and there's a lot of little kind of tricks like that are inherent to each of the individual platforms that offer to remarket. Every single business should have a remarketing strategy. the main thing that I want to convey is that every single business should have a remarketing strategy if that person's come to your site, if they're qualified on some level, you want to make sure you're attracting them back and getting them into your process. so I recommend you give it a shot, okay so that's it for remarketing today guys learned something.